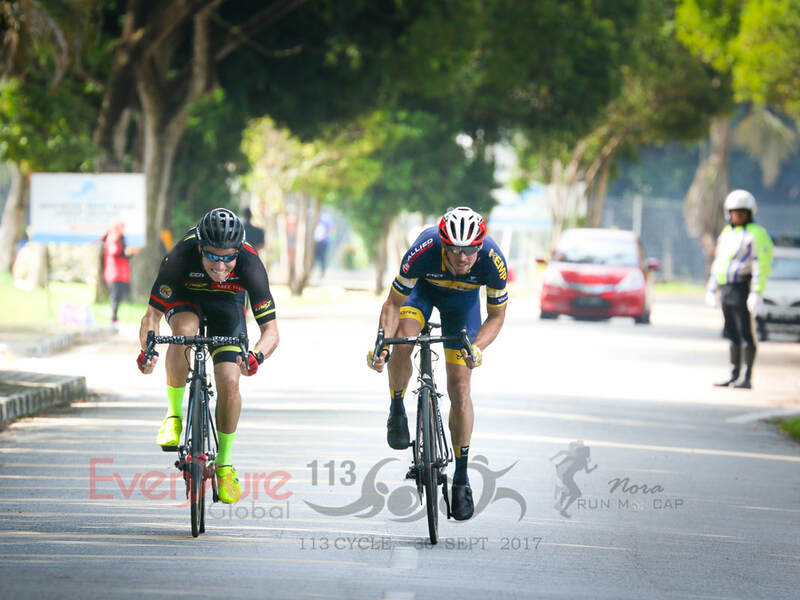 The mostly quiet country roads of the sparsely populated Desaru district of Johor state provide the perfect terrain to hold a bike race, as was proved again last Saturday by the successful staging of the EventureGlobal 113 Cycle event. Brian Johnsen (BikeLabz) outsprinted breakaway partner Michael Koreneff (Allied World Kemp Technologies) on Saturday to win the main Men’s Open prize on a roughly rectangular course that took the 400+ competitors on a scenic 119km trip up the eastern coast of Malaysia then back towards the starting point through a vast swathe of palm plantations. Malaysian track cycling star Jupha Somnet took the Women’s Open crown and the accompanying RM1,500 cheque (US$265) that went to all the winners. 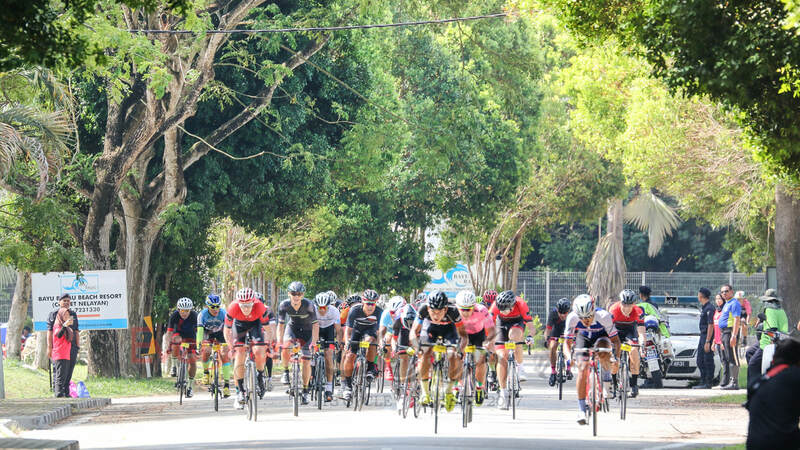 The suitability of Desaru for hosting a bike race is no secret; Cycosports staged the Desaru Cup on the same roads in 2013, while a year later it was the turn of the Johor Masters Century. Both events were well attended and acclaimed by their participants, but neither returned for a second edition, meaning there was no version of the race in 2015 or 2016. Enter EventureGlobal. The company is better known for staging triathlons and other multisports events, including the 113 Desaru Triathlon, the bike leg of which uses some of the same roads as last Saturday’s 113 Cycle. The 113 number in the race titles comes from the total distance of the 113 Desaru Triathlon (2km swim, 90km bike, 21km run), and for synergy’s sake EventureGlobal originally planned for the last Saturday’s bike race to be run over 113km too. But a late request by the local authorities to move the finish from the Amansari Desaru host hotel in Bandar Penawar to the coastal village of Tanjung Balau saw the distance extended to 119km. The 113 Cycle was actually a two-race affair, with a shorter 70km contest also part of the event. The field in each of the two mass-start races was broken down into Men’s Open, Men’s Youth (25 and under), Men’s Masters (45+) and Women’s Open categories. 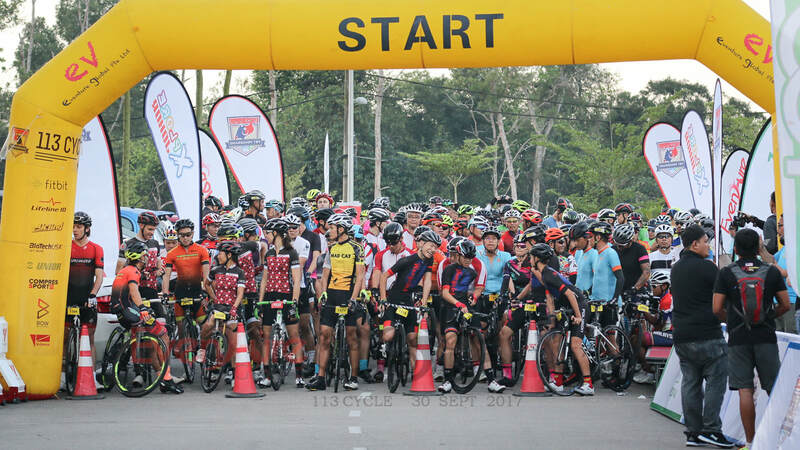 A combined field of over 600 cyclists gathered for the 7am start outside the Amansari Desaru hotel, the centrepiece of a development program which has seen Bandar Penawar grow from a small, dusty settlement just a few years ago into a bustling little town. Among the throng of cyclists eager to get racing was a sizeable contingent from Singapore, with Guerciotti Racing Team, Integrated Riding Racing Team, MatadorRacing, Bike 360, Team Bandung, Allied World Kemp Technologies, Ascenders Team and the Specialized Roval Mavericks all represented. The 119km race was flagged off first, with the opening 7km or so neutralised behind the race commissaries car. Crucially, some 6km of this opening stretch of rolling road replicated all but the last kilometre of the finish, giving the racers an opportunity to familiarise themselves with the finale. The racing started in earnest with a left turn onto the coastal road at the Tanjung Balau junction. What little traffic the racers encountered for the 43km-long coastal section, and indeed throughout the race, was kept perfectly in check due to the well-honed system of rolling road closures that the police and local authorities seem to pull off effortlessly wherever bike races take place in Malaysia. Aside from a short stretch of small inclines around the 20km mark, the coastal section of the course was flat, windy and wide open, making the chances of success for any of the frequent attacks that were launched slim. Indeed, the peloton was still huge by the time it approached the only other sizeable town on the course, Tanjung Sedili, at the 50km mark. But Tanjung Sedili also marked the left turn that took the course inland and it was the perfect place to launch an attack as the field strung out to take the corner. The first three man-move containing a Matador, a Maverick and one other rider failed to get away, but the two-man counter attack that immediately followed ominously contained Johnsen and Koreneff. For the Singapore-based riders at least, the threat posed by such a powerful duo was clear, which made it strange that a concerted effort to chase them down couldn’t be organised. Indeed, some squabbling ensued at the front of the bunch, with the tactic from one of the bigger teams “to let them dangle” strongly questioned. The fact that both Johnsen and Koreneff were racing in the Men’s Open sub-cateogry no doubt hindered the chase too, as many of the contenders in the other three categories might have felt they had no incentive to waste energy. Whatever the reasons for the lack of cohesion, the powerful escapees were soon out of sight on the twisting but still flat roads. A chase of sorts eventually occured but when the road turned lumpy at the 60km mark, a series of counter attacks shot out of the bunch, with one trio of riders managing to separate themselves from the peloton. Again, cohesion was initially lacking behind, and this second group soon built up a decent gap on the bunch. If this trio had bridged to the two leaders then it would have been lights out for everybody else, but Johnsen and Koreneff were riding a hard tempo and were increasing their lead with every kilometre. By this time, Johnsen and Koreneff had built up a lead of some four minutes and victory for one of them was assured. The still-rolling nature of the final 7km after the Amansari Hotel could have presented an opportunity for one of the breakaway partners to attack each other, but the duo stuck to the task together and prepared for the inevitable sprint finish. Johnsen proved the stronger, the American rounding his Australian rival in the final metres to take the win. The winning duo covered the 119km in a time of 3 hours, 1 minute and 2 seconds, representing an impressive average speed of 41.3kph. “The win was unexpected, I really didn’t think that I was going to win until right at the last moment until I came around Mike in the sprint … on the line,” Johnsen said. Did he think the break with Koreneff would succeed? “Absolutely. There was no doubt in my mind that we would stay away. I didn’t think that the peloton would organise itself sufficiently. I mean I’ve done these races enough to know that. I’ve been on the other side of the break and watched it go away, so I thought that the two strongest guys, well I don’t know if I’m the strongest guy but Mike was definitely the strongest guy in the peloton, so I knew that if I got away with him and he worked, then we’d do it,” he said. Was it hard out there for 70km in a breakaway? “Not really. Well, I had to dig deep a couple of times, but we just rode tempo, because we knew that as long as we kept the pace high, didn’t overtax ourselves and blow up, we’d be able to stay away because we were averaging about 41, 42, so for the peloton to catch us they would have to go at 43, 44, 45, and there’s no way that’s going to happen. So, just keep pedaling, don’t stop,” Johnsen added. The American was impressed with the race organisation. “It was great. I was talking to Andy (Foo), the organiser, and I think they did a great job. The car was with us the entire time, they were waving off the traffic so we had the full road, it was just a two-man TT the whole way the last 70k for us and it was perfect. The weather, the roads were good, I mean it’s Malaysian roads but they were good enough. While Johnsen was basking in his glory, there were still a lot of age group honours to play for in the bunch behind and it looked like a big messy sprint finish was on the cards. But with 6km to go, Alan Grant of the Specialized Roval Mavericks racing in the Masters division launched himself out of the peloton just before the crest of a small hill. The only rider to match his attack was another Maverick, his 17-year-old son Jack Grant. The Grants opened up a sizeable gap and despite a hard chase from behind managed to maintain their lead up and over each of four inclines to the Tanjung Balau junction visited at the start of the race. The roundabout marked just over 1km to the finish line, and the Grants were dreaming of an unlikely family double win, but as happens so often in bike racing, the marauding bunch timed its effort perfectly and the escapees were overhauled in the final 100 metres. Leading the charge and winning the bunch sprint and the Men’s Youth title was the Malaysian Mohd Hafidz (SPCC), closely followed by Lukman Nurhakim (Ascenders Team), whose fourth overall clinched the final position on the Men’s Open podium. As the rest of riders came across the line it was difficult to ascertain who had won what among the other sub-categories, but when the dust had settled, it emerged that 2017 SEA Games silver medalist Somnet had won the Women’s Open title, from fellow Malaysian national rider Noor Azlan Alias. That speedy pair were the only two women to stick with the peloton. Winnie Yeung was the best of the rest of the women and claimed third place. In the Men’s Youth race, joining Hafidz on the podium were Khern Yu Yuan and Brian Ng (Guerciotti Racing Team). The Men’s Masters title went to Ed Masvera Bin Mas, with Alan Grant (Specialized Roval Mavericks) in second and Abdulnazzeer Ibrayan in third. Each podium placer at the longer 113 Cycle race was rewarded generously, with cheques for RM1,500, RM1,000 and RM500 given to 1st, 2nd and 3rd respectively across all four categories. The 70km race was also offering decent prize money, with cheques of RM900, RM600 and RM300 up for grabs for the first three riders in each of the same divisions as the longer race. Walking away with the Men’s Open cheque was an unlikely winner in the shape of Kelvin Khoo (MatadorRacing). The Singapore-based Malaysian was one of the pre-race favourites for the 119km contest, but logistical problems on the way to the race saw Khoo and several of his teammates miss the 7am start. The organisers pride themselves on their events being friendly affairs and so they generously allowed the latecomers to take part in the 70km race. 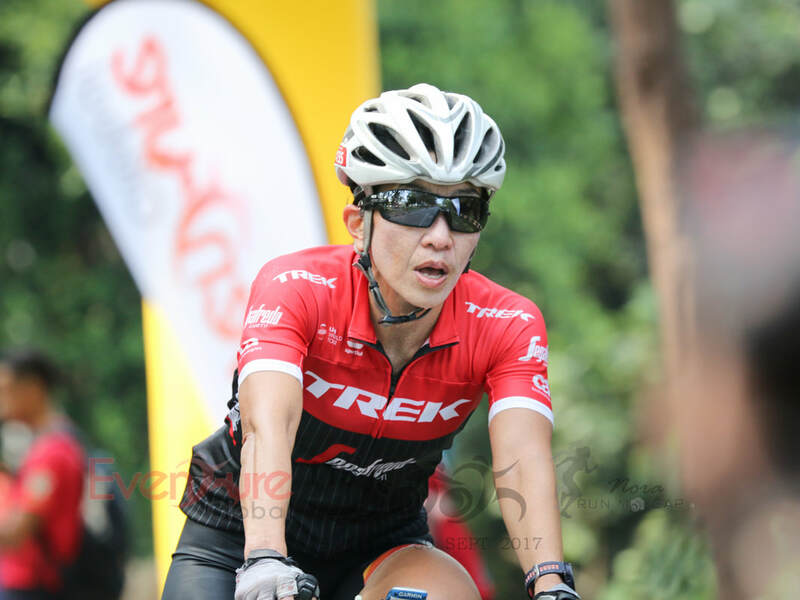 Khoo took full advantage of this by clinching the 70km title by means of a solo breakaway. The next riders over the line were from a six-man chase group, with Eric Seow winning the sprint to claim second place in the Men’s Open. Fourth overall and third in Men’s Open was Ong Ching Leng. Helmi Hariri was third overall and first in the Men’s Youth cat, closely followed by Mohammad Shamil. The third-place Men’s Youth finisher came from outwith the second bunch in the shape of Muhamad Amirul Amelludin. The 70km Men’s Masters 1, 2, 3 positions were filled by Mohamad Tajudin Mokhtar, Zulkiffli Abdul Ghani and Sing Hua Seak respectively. The Women’s Open champion in the shorter race was the evergreen Christina Liew (Treknology/Team Cycledelic), with Samatha Lee the runner up and Marlene Chan in third. Chef race organiser from EventureGlobal Andy Foo was pleased with how the 113 Cycle event played out. “I think it very well and I think we have a good chance of increasing the numbers next year. Everybody seems happy with how the race went, although we heard of a couple of accidents. But no major problems, no major hiccups, everything went pretty well. Marshaling went well, nobody go lost, well not that we heard of,” Foo said with a smile. In light of the “one and done nature” of the previous Desaru races, we asked Foo if the 113 Cycle would definitely happen again next year. “We would love to make it happen again. It really depends on the authorities, how they see it, but as of this morning when we checked with them, it looks like a green light,” he said. Here’s hoping that is the case. 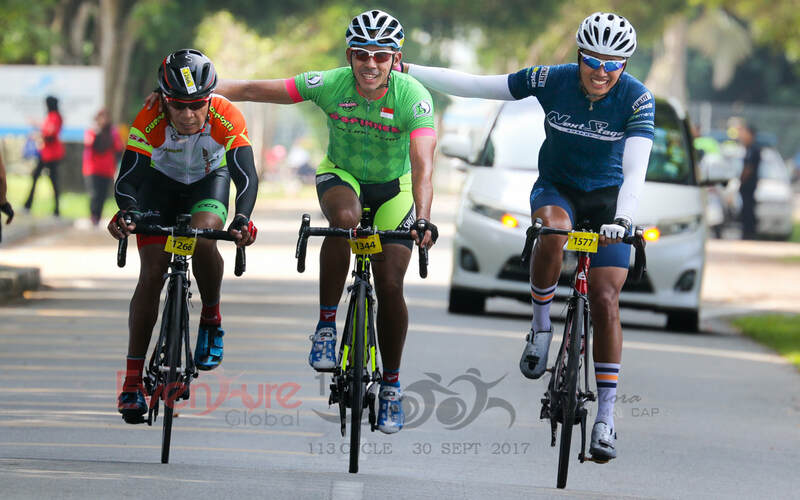 For full results of the Desaru 113 Cycle race click on this link. All photos courtesy of Eventure Global/Run Mo Cap. This article also appeared on www.secondwindnation.com.